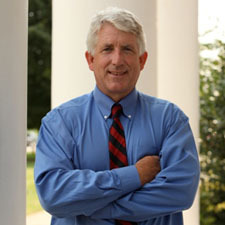 “Mark Herring has lied and deceived us and he must be held accountable. I was at Chicago Baptist Church on October 21, 2013, where Mark Herring answered questions regarding Virginia’s marriage amendment. No one left that meeting thinking he would, in his first week of office, abandon the rule of law and forsake his oath of office,” said Rev. Dean Nelson, Chairman of the Frederick Douglass Foundation, and licensed pastor from Salem Baptist Church, Marshall. The Frederick Douglass Foundation has partnered with CAAP to assist in their efforts of creating a statewide coalition of 500 churches to support the impeachment process in the Virginia legislature. “We are happy to join with pastors from around the Commonwealth of Virginia to put the necessary pressure on weak-willed politicians, like Mark Herring, who violate their civic responsibilities. What he has done is a travesty of justice and trampling on the rule of law for an immoral cause,” stated Rev. William Owens, founder and president of CAAP.